We have 22 spots in a parking lot diectly behind the building to the North. Off street and meter parking is also available. The fun and lively energy of the Ping-Pong hall carries itself to the outdoor Pong tables, picnic tables, and into the dining room. Ace is a different and affordable night out. A drink on the patio, a casual dinner at the Chef’s Counter, and some laughs over a game of Pong combine to make Ace a totally new and unique concept to Denver. On Tuesday nights we hold a weekly tournament. The tournament starts at 6pm and is free to participate. Ace features three unique spaces, housed in the old Storz Garage space at the corner of 17th & Pennsylvania. Like its sister restaurants, Steuben’s and Vesta Dipping Grill, great attention was given to the design of Ace. Repurposed and recycled materials are used throughout the space to create an industrial design and comfortable setting that compliments the history of the building. Ace was a recipient of the 2012 Mayor’s Design Award. 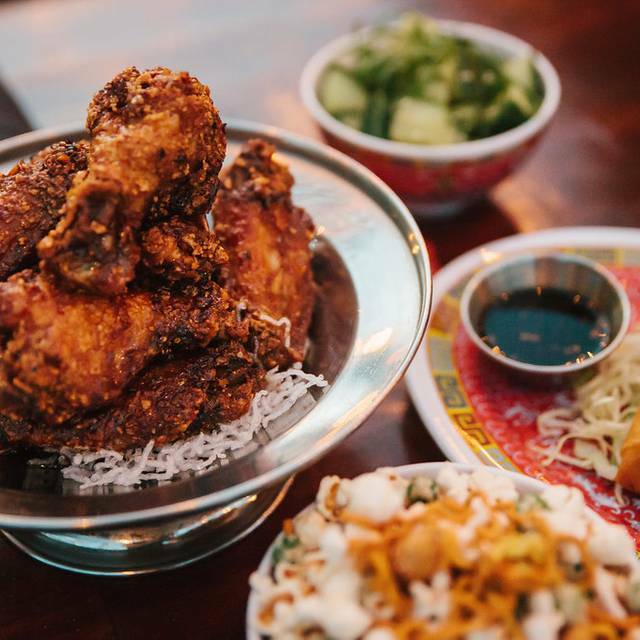 Ace serves Asian inspired dishes conducive to sharing, drinking and hanging out. Voted as Denver’s Best Bartender by 5280 magazine, Randy Layman has created a bar menu featuring house made sodas, fresh juices, Asian beers and a craft cocktail menu. 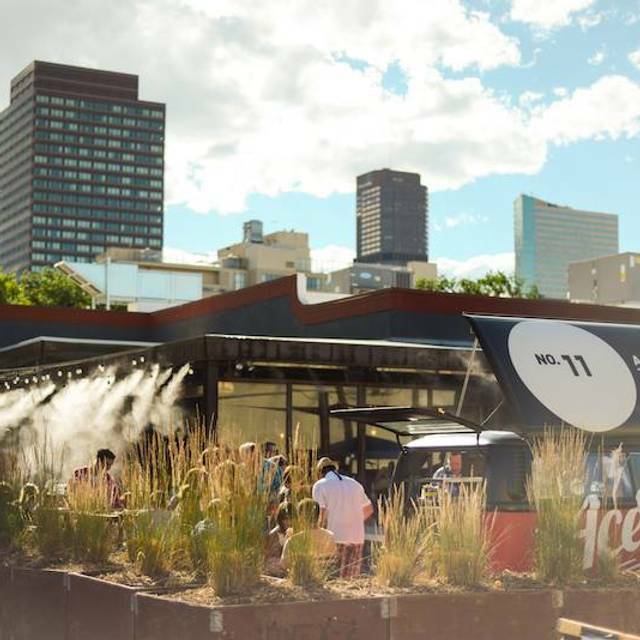 Ace is a place to eat, drink, play, and hang in another unique and creative destination in Uptown, Denver, Colorado brought to you by the team from Vesta Dipping Grill and Steuben’s. 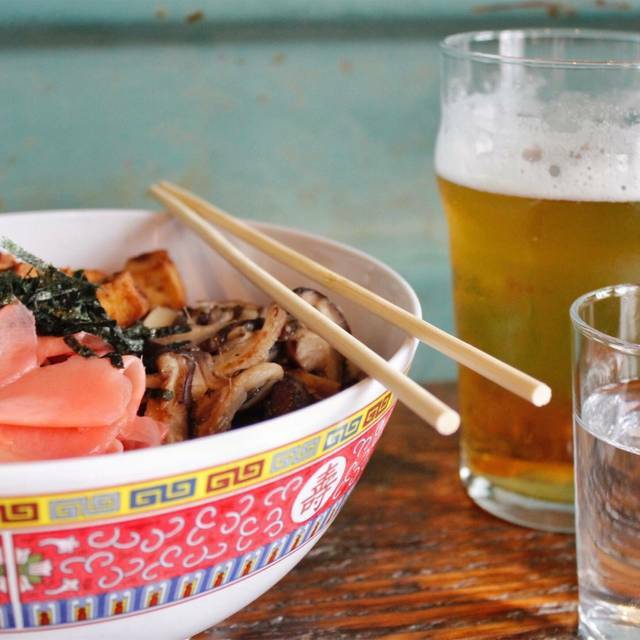 Get Happy-Go-Lucky with our Lucky $11 happy hour special by choosing a ramen & a drink for just 11bucks! Enjoy $6 highballs, $1off drafts, $1wings, and other special happy hour offerings. *does not include tax or gratuity, 20% gratuity is added to parties of 8 or more. Join us Sunday, May 12th at 4pm to celebrate Mother’s Day with a fun & competitive activity, PING PONG! Mom can celebrate with a free hour of ping pong while staying cool inside our pong hall, or by soaking up some rays & an adult beverage on our uptown patio. 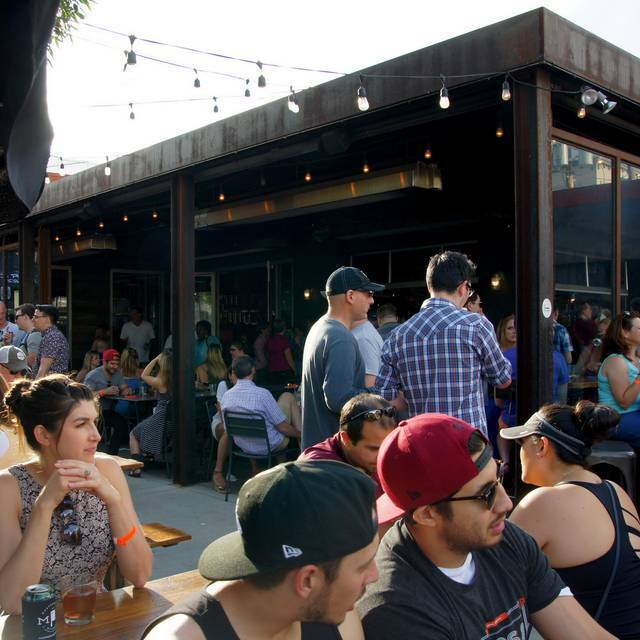 Great fun, wonderful patio and fantastic Happy Hour. All that wouldn't matter, though, if the food were not up to those attributes. Glad to say that it is, each and every dish that we tried. Now, toss-in very friendly service, from the front hostess to the servers and it's clear that we'll be going back. Often. Ate from the starters menu. Really, really good. Tasty cocktails and friendly service. Will be back. Fun place to hang out with friends play pong. Interesting selection of Asian Fusion and creative coktails. Fun, atmosphere, good food & a great selection of gluten free food. My only complaint -- it was too loud! Our whole table agreed that we had to yell to hear each other--not fun while one is eating dinner. The food and drinks were excellent and getting to play ping pong with the family after was awesome! Great place to hang out and have fun and play ping pong. Get there early as it gets crowded. Great place for kids and adults to get the most out of a night out together! My daughter requested this restaurant for her 5th birthday dinner. Great “bento box” style dinner for kiddo’s and it includes a shaved ice for dessert. Outstanding service from the staff as always. 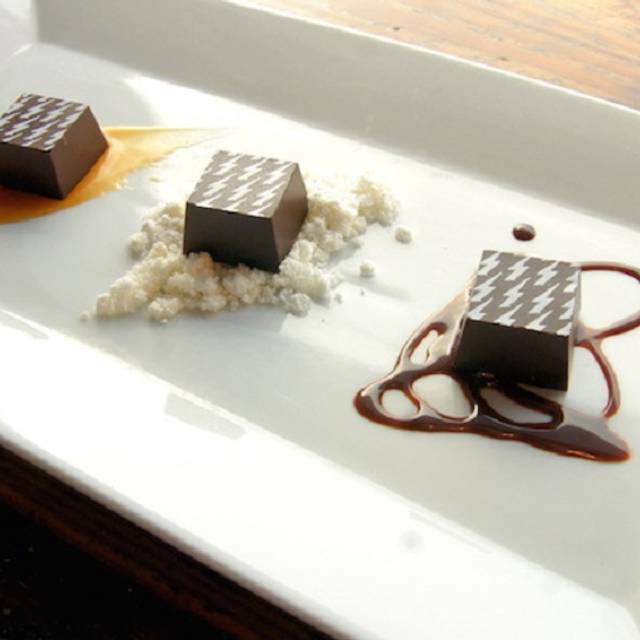 They are extremely attentive and go the extra mile to please, especially concerning dietary restrictions - vegetarian, vegan, gluten free, etc. Were seating out on the patio even with a reservation and we had to all wear jackets cause it’s not fully enclosed. Prices are a bit high for the portions but delicious. My friend was visiting from CT for her 25th birthday and I knew the perfect place to go! 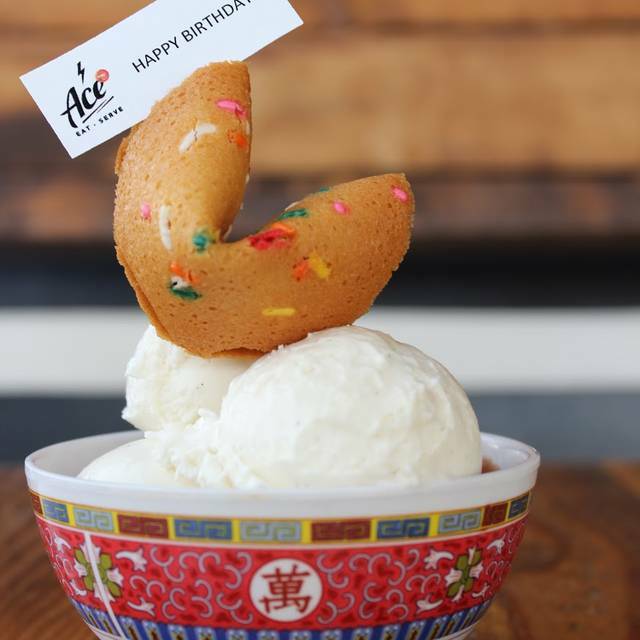 Ace, Eat, Serve provides a bomb deal of $11 for a drink and healthy serving of either duck or miso ramen! My friend ordered the miso while I ordered the duck, both with a side of the Eastern Standard Thyme drinks, the shrimp wontons, bao donuts, and crispy imperial rolls. Personally, we said we would skip the bao donuts as they were a bit dry and the crispy imperial rolls since they are just small egg rolls, but the shrimp wontons are definitively a future go-to! Overall, had a great experience! 10/10 will recommend to people! Fun and great food. The staff was knowledgeable and accommodating. Great drinks and food - everything was good. And a game of ping-pong after...how could that be bad? Great restaurant to go with friends. The food is good and it's fun to play a little ping pong afterward. The ping pong tables are booked separately by calling the restaurant. We went for restaurant week. The food was a bit bland, and some in the party found the portions too small. But the real problem was that service was really slow, with large gaps between courses. Also it was a cold night and the restaurant itself was uncomfortably cold. It was not a good first experience. Ace did give us generous comps for another try, which I'll do. 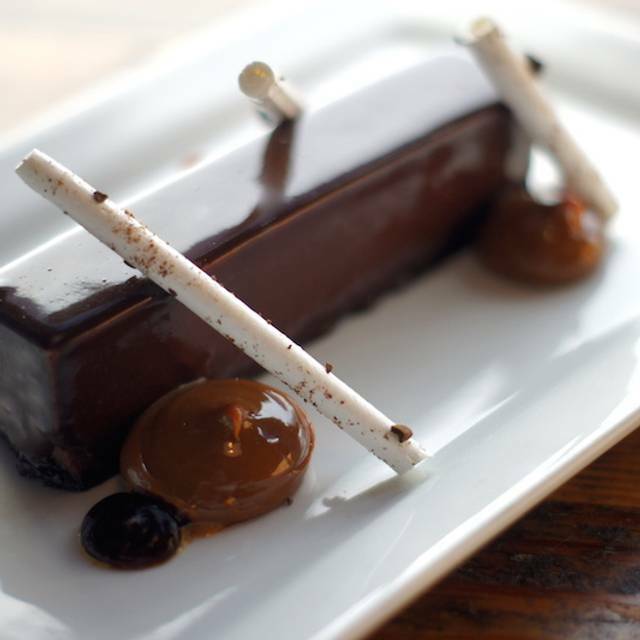 We went during Denver Restaurant Week, and had an excellent 3 course meal for $25 - there were delicious vegetarian options, and the passion fruit tart was an absolutely perfect dessert. Portion sizes were reasonable, so we all felt full (but not uncomfortable) after 3 courses. Ping pong in the back room looked fun but we didn't have time to try it out. 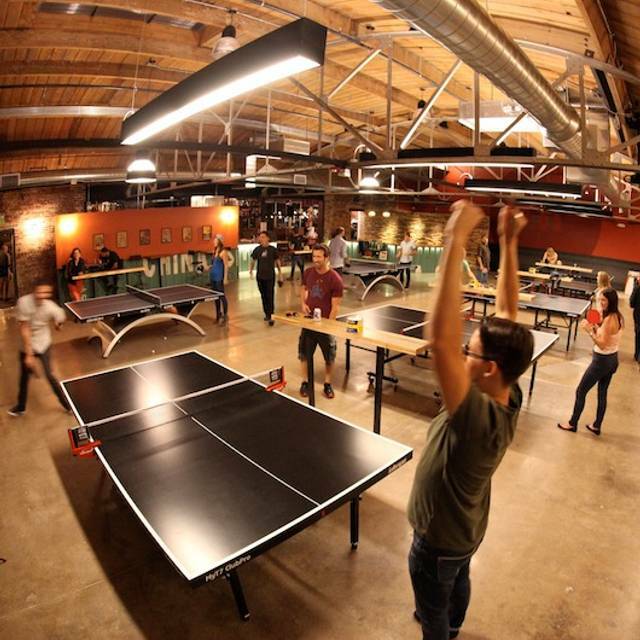 You can get food and drinks while you play ping pong, but definitely try it! So good. The happy hour deals are great. Also, there is parking behind the building, free. But very limited. First visit. Food was very good ordered off the Restaurant Week menu & the duck bao was wonderful. Really liked the lobster shu mai except the sauce for it was s little overpowering. Sake pairing was perfect! This was a unique place, ping pong tables in the back with bar and dining area in the front. We had happy hour drinks and appetizers first. All very good tasting and visually appealing. We went for restaurant week and the 3 courses were excellent. In particular, we relished the vegetarian curry dish with rice! Yum. Did not see it on their menu but they should add it. Walter was great. The food was very good. Delicious, I loved the Orange flavored Beef. A couple friends and I were able to get a reservation on a Saturday night. As always delicious food and great service! We had the bowls for drinks and loved them!! Great food and so much fun. Ace earned me huge points for a great date night with my wife! We will definitely be back but will bring more friends next time. Great cocktails and food- the bao and crispy beef especially were so good. Definitely wished we booked a ping pong table as that would have been so much fin. Great service, fun and energetic ambiance, would be great for a big party too. Terrible food and service. The table tennis is fun but not worth the overpriced and mediocre food. My sister and I shared valentines this year together and we had such a lovely time!!! Having gone on the Lunar New Year, I cannot speak to the regular menu, yet the special menu was superb. Full of special treats, and fun ideas; the Dragon's Breath (meringues in liquid nitrogen) being well worth it on their own. I ordered the Lobster dumplings with Shrimp ramen and the peppersteak rice plate. The Ramen was heavy handed in the soup base, there was too much shrimp/seafood paste/miso or something. It tasted like red curry and flour...and I also ordered to go a Peppersteak rice plate, but there was no rice. Price was a little over the board, when you can buy a pack of Japanese noodles, Neguro, for $1.50 per pack from King Soopers. I'm sorry, but I will not be back there anytime soon. Our server was pretty terrible. Maybe he just started so I gave him the benefit of the doubt and still left him 20%. The food had good flavor and looked nice. The ping pong was by far the best part of the experience though. We celebrated my birthday here and had a group of 13 people! They were very accommodating to such a large party and the food was amazing! The food and cocktails were delicious! 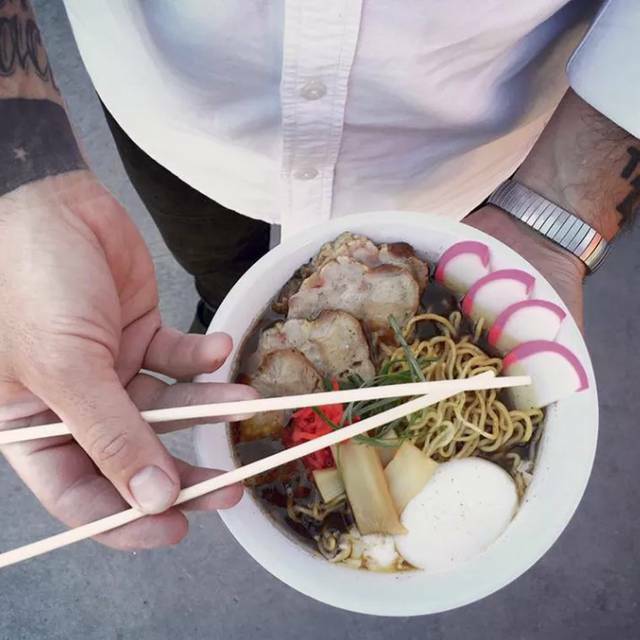 Try the duck duck ramen and the brussel sprouts. They don't disappoint! Always good food and drinks! Went for a birthday and they provided a birthday dessert with candle and homemade fortune cookie. I felt harassed by the constant emails and texts about confirming my reservations. It was a Monday night and plenty of room in the restaurant but they even called as we were parking for another confirmation. Our server was very passive aggressive and rude. The food was fabulous though! We made a reservation and had to wait over 30 minutes past our reservation time for our table. Hostess was annoyed when I asked at the 20 minute mark...Food was good though. Drinks took 10 minutes to order. I ordered the pork belly buns and the dumplings at the same time. Food came out in 5 minutes and beat the drinks to the table. Pork belly bun was good and the dumplings were NOT HOT and obviously were a mistake for another order and served to me after the fact. Decent food. Decent service. Very limited vegetarian/vegan options. My companion had the miso ramen and the broth was far too spicy, her thai iced tea was way too watery. The house made soda was decent and the seafood ramen wasn't too bad. Service was ok, nothing to write home about. I guess I would be more likely to come back if I was trying to play ping pong.